Hemp oil is a great source of high-quality nutrients and has a long history of use in Eastern culture as a multi-purpose natural remedy. Hemp seed oil is often used as a moisturizer for the skin. The antioxidant and anti-inflammatory properties may protect against the aging process while soothing the skin. Hemp seed oil contains essential fatty acids Omega-9, Omega-6, Omega-3 fatty acids, a balance that has been shown to support heart health and promote proper cardiovascular function. 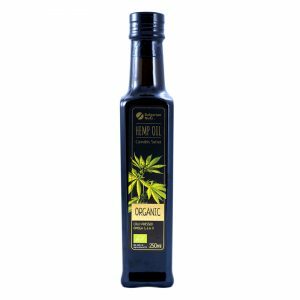 Organic, Raw, Cold pressed extra virgin hemp seeds oil, dark green color, Cannabis Sativa Extremely rich in essential fatty acids Omega-9, Omega-6, Omega-3 Suitable for diet, health care, nutrition, immune system, catering, cooking, etc.